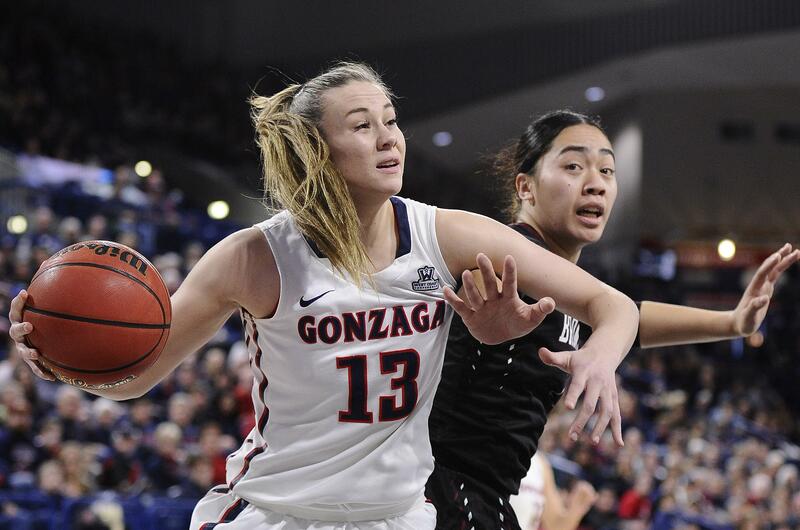 A week after announcing her decision to forgo her final season at GU, Barta told The Spokesman-Review this week that she “hopes that they know that what I chose was best for me. “A lot of people are disappointed in my decision about not coming back, but if you’re a true Zag, I know you’re going to support me,” Barta added. And what years they were for the former high school all-star from Fairfield, Montana. After redshirting in 2014-15, the 6-foot-3 forward was the Zags’ leading scorer for three consecutive seasons. The West Coast Conference Tournament Most Valuable Player a year ago, Barta won every award in sight this year, including regular-season and tourney MVP as the Zags went 27-6 and reached the NCAA Tournament for the second consecutive year. So why not go for three in a row and leave a bigger legacy? Because Barta has put in four years with the program and is on track to earn her degree this spring in special education. “I got to the point where I was ready to move on and start a new chapter in my life,” she said. Barta also has big dreams. She’s hired an agent and plans to make herself available in the WNBA Draft on April 12. Barta has an impressive inside-outside game, with solid rebounding and a 38.1 shooting percentage from beyond the arc. If pro ball doesn’t work out, Barta has another dream: teaching special-needs children, preferably in Montana. Barta said that she had thought almost a year ago about forgoing her senior year. She added that she mentioned the possibility to coaches early this season. Barta said she’ll treasure her experience at GU. Published: March 30, 2018, 4:03 p.m.